JUST IN! 2013 Porsche 911 Cab! Sport Exhaust! Sport Chrono! 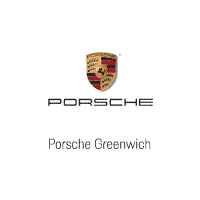 Porsche of Greenwich EXCLUSIVE!!! New Country Porsche of Greenwich is pleased to present this amazing Certified Pre-Owned Porsche Approved 2013 Porsche 911 Carrera Cabriolet! This 911 was purchased & serviced here. It has a clean Carfax history with no accidents, was never smoked in, and kept in excellent condition. Our factory trained technicians have just completed a comprehensive 111-point Porsche Approved Certified Checklist and this 911 has passed the test with flying colors! This is a very special & highly optioned vehicle as it has SPORT EXHAUST! !, SPORT CHORNO, Steering Wheel Heating, 20″ Carrera Classic Wheels, Heated & Ventilated 14 WAY Front Seats, Premium Package, Porsche Dynamic Light System (PDLS), BOSE Audio Package, Sirius XM Satellite Radio, HD Radio, Online Services and Storage Compartment Lid with Porsche Crest. Original MSRP was $116,790!!! . 0 comment(s) so far on JUST IN! 2013 Porsche 911 Cab! Sport Exhaust! Sport Chrono! Porsche of Greenwich EXCLUSIVE!! !